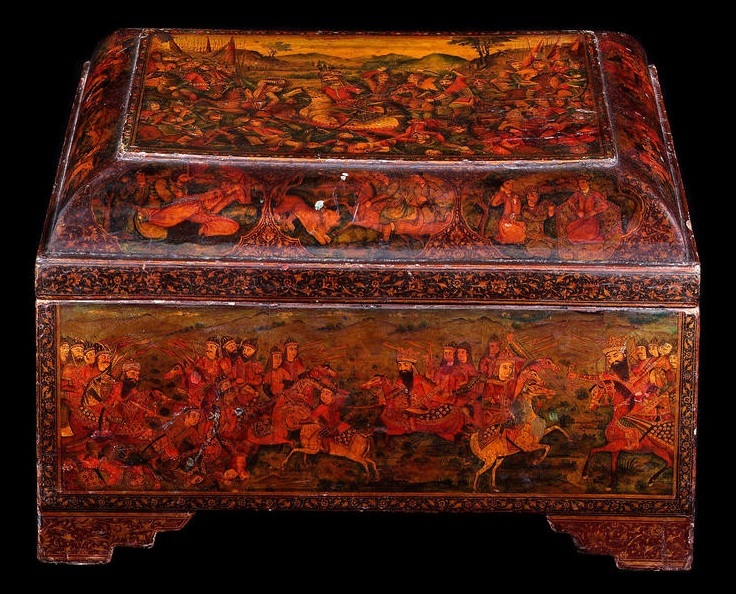 This is a remarkably beautiful example of Wooden containers in Qajar Period. 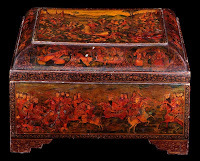 It does depict fictitious scenes of royal battles or hunting. In a general sense, lacquer is a somewhat imprecise term for a clear or colored wood finish that dries by solvent evaporation.